Jaya began meditating in 1984, and from 1996 to 2005 was ordained as a nun in the Thai forest tradition in the UK at Amaravati with Ajahn Sumedho as her main teacher. 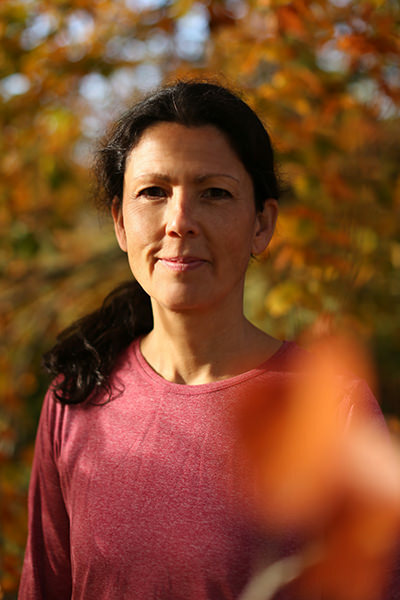 She graduated from the Spirit Rock and Insight Meditation Society teacher training with Jack Kornfield and Joseph Goldstein in 2016 and teaches retreats in the UK and internationally. Jaya lives in Oxford, England where she leads courses and runs a weekly sitting group. Jaya is an experienced teacher of Mindfulness-Based Stress Reduction (MBSR) and Mindfulness-Based Cognitive Therapy (MBCT). In 2010 she co-founded Go Mindfully with Zoe Shobbrook-Fisher. She is an Associate of the Oxford Mindfulness Centre. Aside from teaching MBCT for the OMC, Jaya also teaches Mindful Self-Compassion courses in Oxford. Jaya holds a Postgraduate Diploma in Psychotherapy and Counselling from University of Wales and an MA in Classics from the University of Oxford.